Our Downtown Albany Location is Now Open! Our deli is fresh, modern and features an extended menu from breakfast specialties like challah french toast & specialty omelets, to a gorgeous selection of pastries baked fresh every morning. Our lunch menu features grilled sandwiches, daily soups, a variety of salads, deli sandwiches and much more. 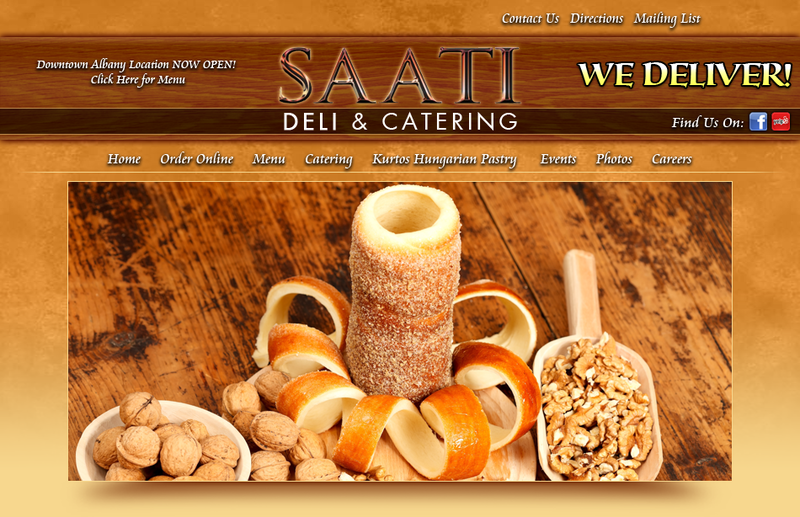 Saati is more than just a deli! We can cater parties in your home or office or you can bring your party to us. With more than enough room to accommodate and an atmosphere sure to please, It's the perfect spot for a family luncheon, a business meeting or a chance to catch up with an old friend. Pick up some salads by the pound to make tonight's dinner at home quick and easy.